Readers know I’ve long been noodling over measurement issues, whether it’s accurately measuring the economy’s capacity–and admitting we don’t have reliable, policy relevant gauges of potential GDP or a “natural rate” of unemployment–or maybe most importantly, measuring well-being versus growth. See this in today’s WaPo. Like David Pilling, whose book The Growth Delusion I highly recommend in this space, the idea is not to toss GDP growth rates and other aggregate measures. It’s to put them in perspective, and critically: be aware of what they leave out. 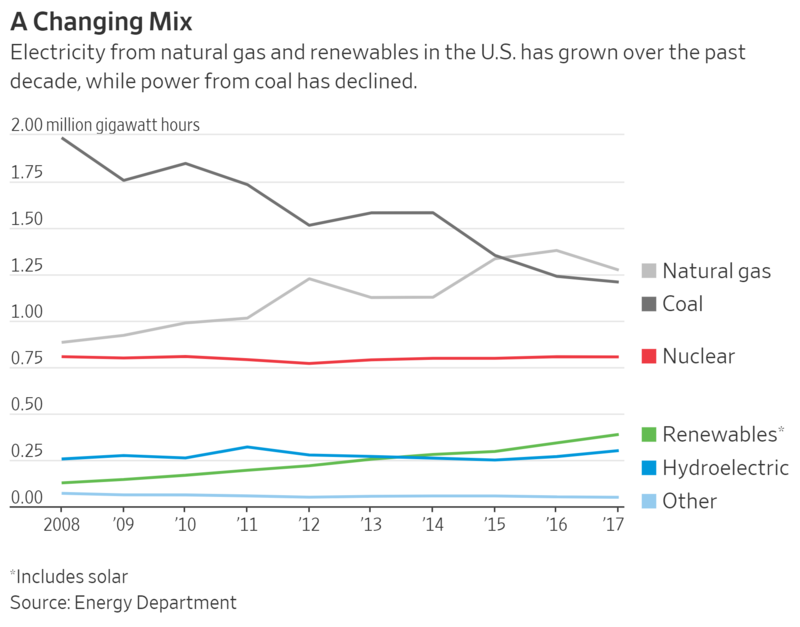 In that regard, I think one of the most important points in the WaPo piece is the need to net out environmental degradation (which, as I point out, includes adding back in some positive developments, like less use of coal, more use of renewables). –Are people meeting their basic needs (housing, food, child and health care, etc. ); do their incomes come close to what’s needed given the cost of living where they live? Such data exist. –How can we best net out environmental degradation and any progress we’ve made against it? –How valid/useful are existing well-being measures, like the Happiness Index in the WaPo piece, the Genuine Progress Indicator, Bhutan’s Gross National Happiness, etc.? All fodder for future work in this space. Perhaps we can tap this disconnected moment (between growth and well-being) and elevate the need to get away from the usual GDP/stock market etc. and take these measurement challenges much more seriously. One other point which have space to get into in the piece. This disconnect has obvious political implications. 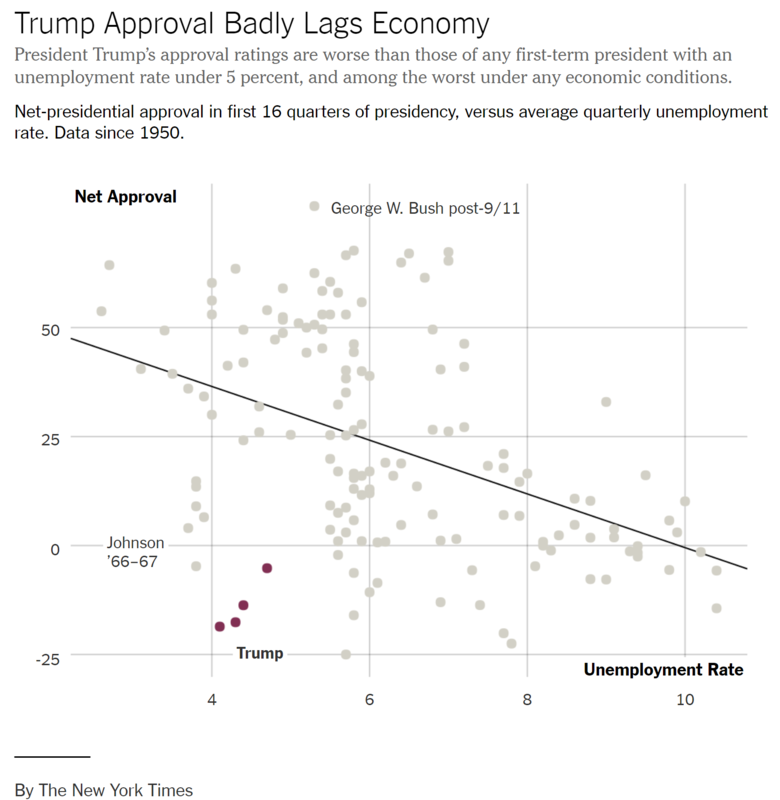 Here’s a figure showing the gap between Trump’s approval and the unemployment rate–he’s uniquely far from the best-fit line. True, LBJ was too, but that was Vietnam (though Trump/war anxiety looms very large for many of us, I’m sure). Sometimes it’s a lot more than the economy, stupid. Share the post "Enough already with GDP growth…"
One comment in reply to "Enough already with GDP growth…"
I sincerely believe that at any time you take the focus off inequality and wages, you are doing a disservice to the vast majority, bottom 80 percent, who need to earn more. They need to earn more not by being more productive, working more hours, or getting more education. They need to pry the money out of the hands of the top 20 percent, top 10 per cent, top 1 percent and top .1 percent. People, actual real living people, already know there’s more to life than GDP. They voted with their tweet.